Are Apple losing their edge amongst teens? It's not a problem it's just how teens work! 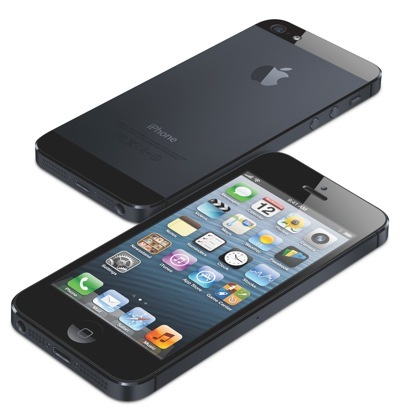 Now the phone pictured above, the iPhone 5, is an insanely popular phone. Apple sold more than two million on the devices first sales weekend in China, which added to the five million Apple sold on the first weekend in the rest of the world! So let us be in no doubt that Apple and their brands are still insanely popular. But, having said that there are reports coming in which are suggesting that Apple may be coming towards a need for change, because their popularity may actually conspire against them! "Everything moves in cycles and you can’t rest on your past glory. You’ve got to evolve to maintain relevance. Apple just needs to focus on innovation and teens will come back." There's currently the perception in teenage circles that 'everyone has iPhones' so teenagers are turning again to something new, it's just how they work! I actually had an example of this the other day when I went to dinner with a group of eight friends. I was the only one who didn't have an iPhone but, to my surprise people were intrigued by the Samsung Galaxy S3 in my hand: everyone was taken aback by the size and 'uniqueness' of it, which is surprising given the vast amount of these which you see around and about! “There was quite some negative buzz about the iPhone 5 and the lack of a real incremental innovation, except for the screen size and weight, when compared to the 4S. So this has an effect on the originality component of coolness." "Samsung and the Android platform is indeed a formidable competitor. But the interwoven ecosystem and flawless nature of Apple’s products will make its growth prospects pretty much a sure thing for the foreseeable future. Remember, the entire U.S. smartphone market has just passed 50% penetration, so both platforms have nothing but growth ahead of them." We couldn't have put it better than that ourselves!